Event takes place at 10:00 AM on April 26, 2014. 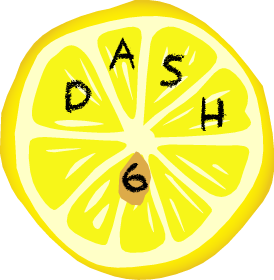 DASH 6 will take place in the city of Cupertino in South Bay. The game will involve a walking distance of about 3 miles. We will be starting in Cupertino, CA near the Stevens Creek exit of highway 85. Further details will be sent to registered teams by email. Teams should be 3-5 people. Registration cost is $40 per team, and may be paid via PayPal to [email protected] Please include your team name in the memo. We expect most teams will complete all puzzles in 6-8 hours. Bring the usual items one would bring to a puzzle hunt. See the FAQ for a list. Android or iOS7 smartphones are a necessity since we will be using an app called Cluekeeper for the hunt. Hello! I'm Channing and I've been doing puzzle hunts for the past few years. I am a software engineer at Google and enjoy puzzles of all sorts, obsessing over Stanford football, and visiting Disneyland as often as I can. I look forward to serving in creating a great South Bay DASH hunt! Merry here. I've been a fan of puzzle hunts before I knew the proper term for them. During the day, I create awesome tools for my team at Google. At night, I like to rescue Zelda. At any other odd hour of the year, you may find me enjoying the great outdoors. On that note, can't wait to see you guys at DASH!